To verify the flow, direction and condition of liquid in a section of piping. It helps detect blockages in valves, filters and other line equipment. 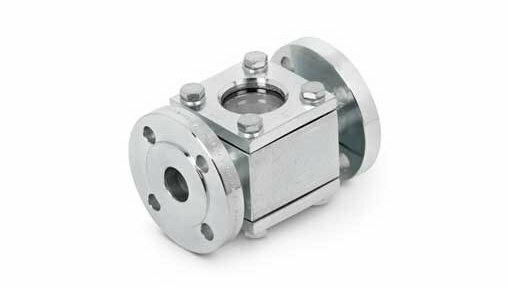 In particular, it enables verification of correct operation of the condensate traps, ensuring that there are no steam leaks, with the cost this would entail. It also enables observation of a product’s viscosity, turbidity and, in particular, its colour in the different phases of its production process.